Pressure cookers have been into use since decades and are still the favorite of all homemakers and the working women. Even with the introduction of new technologies in different fields, there is no improvement seen in most of the kitchen appliances till today. Pressure cookers have been a vital and common cooking medium used in every Indian kitchen. 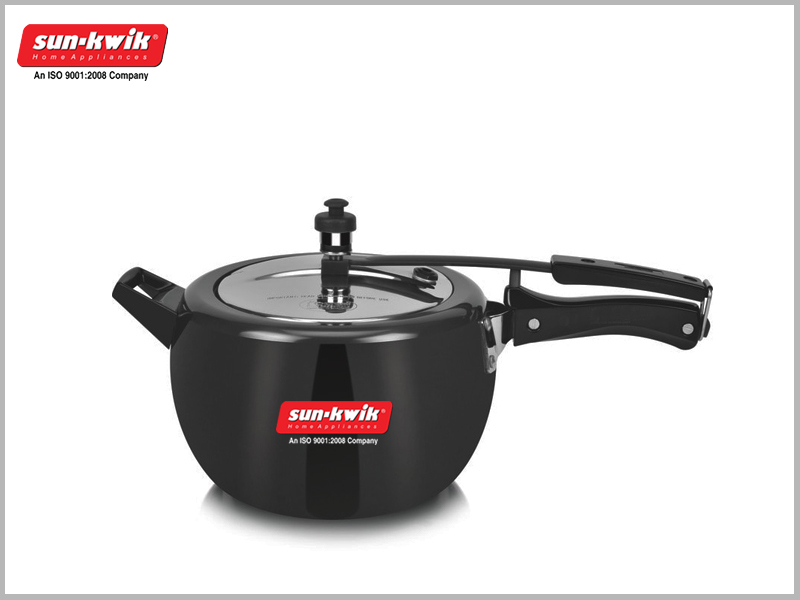 A Multi Utility Pressure Cooker is used in multiple ways by hoarding multiple containers or sometimes using the cooker as a single cooking pot for cooking curries and dals. Traditionally, pressure cookers have an outer as well as an inner lid that are aligned properly. It must be ensured that the gasket and the weight valve are always in a good condition. Some of the pressure cooker models are incorporated with pressure indicators that help to know if pressure has released or built up completely. A recent search has shown a model of a clip-on pressure cooker manufactured with a new user-friendly technology and with many added safety features built in these models. If one is a lover of a pressure cooker then one must try out a few preparations to see and feel the difference of cooking in such a versatile pot. Some of the features that made this vessel the most convenient pot to cook different delicacies are the unique lid designs, the extra safety features, and the advantage of cooking and serving the dish in the same pot. The fresh models with clip-on lids are extremely amazing. It is super easy to fit in the lid. All that is needed to do is to just twirl the top knob. A single and simple turn for locking the pressure cooker is all that is needed. Now, that’s a true unique and a simple design. Not only this, the lid of the cooker can be used to cover multiple clip-on utensils such as a handi, kadai, or a casserole with the same diameter as the cooker. The lid comes with a pressure indicator that is safe enough and that ensures that the lid is not possible to open when the inside pressure is at its extreme level. The lid acts as the best locking device. In addition to this, there are some more safety features like the releasing system of the gasket, the whistle or the weight, and safety valve. This range can be considered as the best and the safest array from the most popular online hub and that are currently in the market. What can be better than cooking and serving in the same pot. Well, with the new range this is also possible now. One not only can pressure cook the food but can also heat the food and cover it with the stylish glass lid for serving. Check out the range and Buy Online Pressure Cooker at the best price and gift your kitchen an amazing and a magical gift. Try the recipe named as Kadalai Kuzhambu in a pressure cooker now: – This is a tangy yummy curry packed up with the perfect blend of flavored spices cooked with coconut milk as the base of the gravy. When combined with Mangalore drumstick and cucumber, the dish adds an extra taste to the dish making it delicious and rich.